The last time I updated, Annabelle was not doing well at all. They were discussing elective intubation, and she was on extremely high settings of CPAP, the big clunky machine on her face that blows a ton of air into her nose, thus all but forcing her to breathe. I was going on a business trip on Monday, and was really nervous about it since she was having so many issues. I’m pleased as pie to announce that Annabelle is doing TREMENDOUSLY better, and she had a GREAT day on Monday while I was away. God definitely answered some prayers! She has been keeping her O2 saturation’s (I call these SATS, not to be confused with STATS which means HURRY UP, EMERGENCY… my mom always calls and asks how Annabelle’s Stats are, and I just want to say, thank goodness she doesn’t have any!! Now my mother is going to read this and be mad at me… but it makes me giggle:-) ) Anyway she’s been keeping her sats in a good range, has had no more fevers. She did, however, have her meds weaned by a pretty big dose for her on Sunday, and she did NOT NOT like that come Tuesday, when it finally filtered through her system. Last night she had runny poop (sorry for the visual) sweating, sneezing, and was just one ticked off little girl. We have corrected the wean to be not quite so big today, hoping that this helps. She seems a little better today, but we’ll see how tonight goes. Tomorrow, though, is our big day. 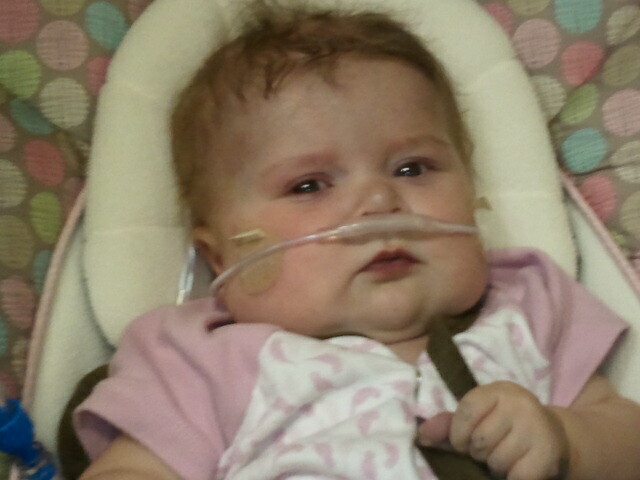 Annabelle will get her cardiac MRI done, and this will tell us for sure of the Boston option is an option or not. To be honest, I have a ton of mixed feelings about it. A big part of me is much more scared about that than I am about the thought of a heart-transplant. But I want to do what GOD wants us to do, so I’m praying that the MRI will give us a really clear “HECK YES” or “HECK NO” answer. So please be praying that we have a very clear, definitive answer about what we should do after tomorrow’s test. They’ll also have to intubate her and put her to sleep to do the MRI tomorrow (she has to be completely still for about 45 minutes and that is the only way to accomplish that) so this test is not without risks. She has gone through this just fine before, so I’m not overly concerned, but just pray for no complications and that the ventilator can come right back off afterward. On a fun note, I’m planning on taking all my girls (separately) on dates this weekend! I’ve missed them SO SO SO much lately and am in need with some time with my girls! My heart hurts because I haven’t been able to be the Mommy I want to be to them these last six months. But they are such GOOD girls, and I am SO SO SO proud of them for being my troopers and hanging in there during this. They pray for their little sister so faithfully, and I see the love of Jesus in each of their lives. A little fuzzy… but she’s having some OT (Occupational Therapy) and for the first time that I’ve seen, is chewing on her toy and using her own hands to get it there! Mommy was so excited!!! 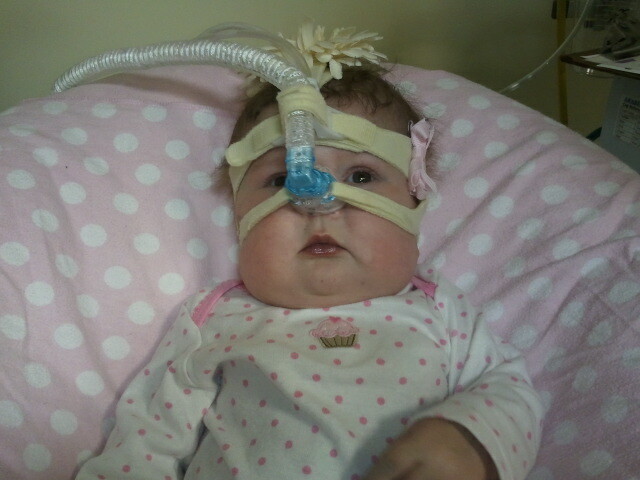 Another fuzzy one… swinging in her swing, loving having the cpap off! Hurray for Vapotherm! Oh I am so so glad for this good news. So glad to hear the answers to prayer. We will pray for a definitive answer for you after the MRI and will continue to pray for Annabelle and the rest of the Phillips family, as well. I have been on pins and needles every time I have checked your blog this week. I was so afraid that no news might have meant bad news, but I am delighted to hear that Annabelle is doing better! It is amazing how personally involved you feel when you are praying for someone. You will continue to be in my prayers each day, especially for wisdom to make these crucial decisions. 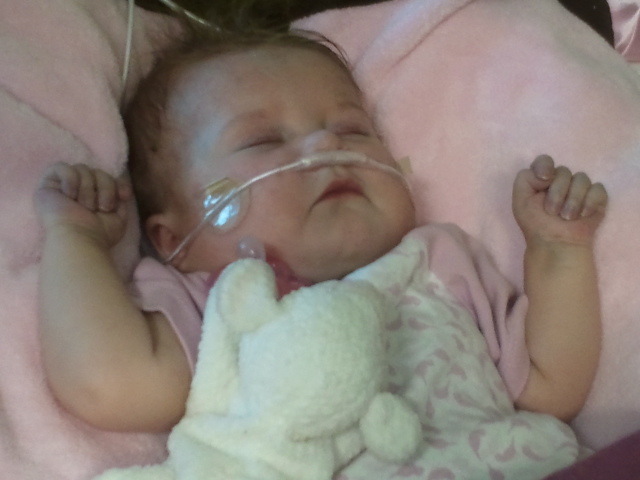 I thought about Annabelle often today, lifting her in prayer each time. I wondered how she was doing and was sooo happy to see this update bearing such great news. I'm glad to hear you'll be enjoying mommy-daughter dates with each of your older girls this weekend and hope you have a blast. May the Lord cradle Annabelle in His hands tomorrow as she undergoes the MRI, and may He make abundantly clear His will regarding the Boston option. Still praying for the little darling. She's so precious! Praying God gives you a clear answer and paves the way for all of you! Thanks for the updates! Thank you for posting the update. I was worried, but now I am so glad to read she is doing so well. You all remain in my thoughts and prayers…especially with the big MRI day approaching. Great pictures! I am so glad to hear Annabelle is doing better. I can't wait to see your date picture–your girls are going to have so much fun! 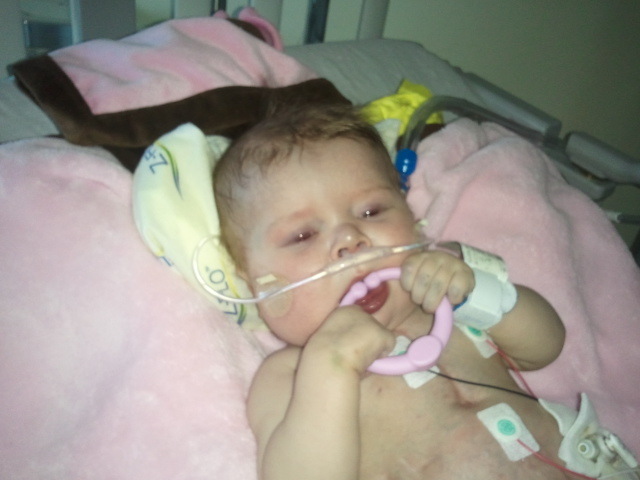 What a beautiful little girl and fighting so hard to do all the things normal for her age! I'm so glad her condition has improved. We'll continue to pray, especially about the MRI and the decision you need to make.